Research conducted during the first 20 years of the AIDS epidemic provided a solid foundation of data supporting methadone treatment as HIV prevention. Drug users in methadone treatment were consistently found to reduce the frequency of drug use, risk behaviors, and infections. These data have been consistent over time and across cultural settings and have been used to promote the expansion of drug treatment as a prevention intervention. More recently, data have emerged suggesting the prevention potential of medication-assisted treatments other than methadone (buprenorphine/naloxone and naltrexone). Still, with a few notable exceptions, global drug treatment coverage for opiate injectors remains remarkably low and only a few treatment interventions for stimulant use have shown efficacy in reducing HIV risk. Importantly, more recent data provide support for the role of drug treatment programs in improving access and adherence to antiretroviral treatment and that injection drug users in substance abuse treatment are more likely to achieve sustained viral suppression. 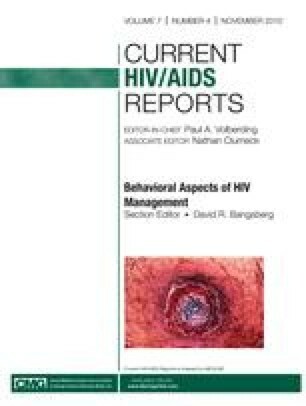 While important challenges remain in maximizing its impact, the scientific literature provides strong evidence of the efficacy of drug treatment as an HIV prevention strategy. Preparation of this manuscript was supported in part by the following grants: U01-AI-048014, Penn Prevention Clinical Trials Unit (Metzger, PI); RO1-DA-026344-01A1 (Metzger, PI); and 6-P30-AI-45008 (Hoxie, PI).